Me, my brother & my dad spent 1 week diving in Marsa Shagra. It was recommended by a friend. I decided then to take my GoPro camera with me, in hope to get some nice footage, that's why I also bought a red filter. 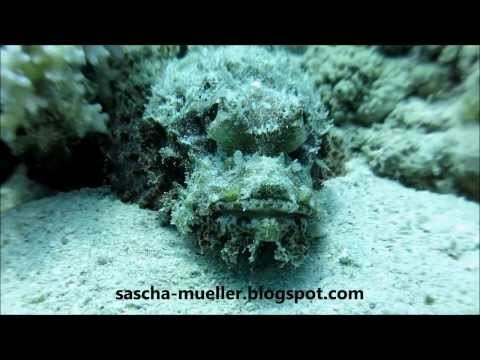 This was the first time I filmed while diving so I had no experience. The most time we dived at the house reef north and south side but also at Marsa Abu Dabbab and Marsa Egla. The places we dived at were wonderful and we saw lots of beautiful fish, also the reefs were very clean. 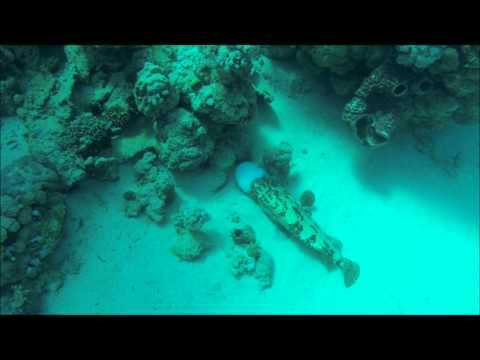 Marsa Shagra south reef 15m deep. I have already been to Marsa Shagra ten times. 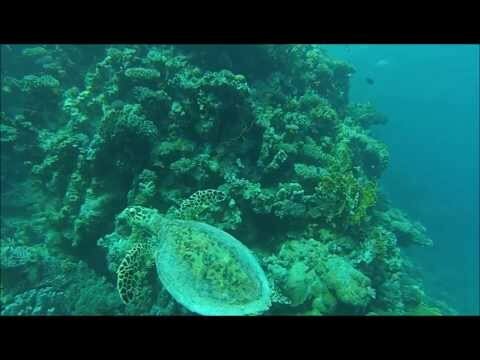 Some years ago I was able to watch a Dugong in Abu Dabab, but I would never have dreamed to swim with such and impressive animal on Marsa Shagra house reef! I was very lucky that day and I am very thankful for these moments. 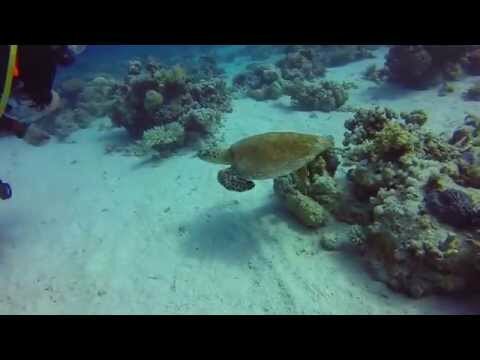 Im Sommer Juli 2013 betauchten wir für 5 Tage das Hausriff in Marsa Shagra. Many tourist argue that environmentalism is not their responsibility, but the locals or national government. The thing is the tourist bring the money and can therefore also influence sustainable actions quicker than any local or politican. Of course it should always be rooted in local will, but I really don’t understand people I know that buy charter vacations to practically no money and arguing that it is not their responsability preserve nature outside there own country.